Jurassic Car Wash is fun and different, just like Austin. 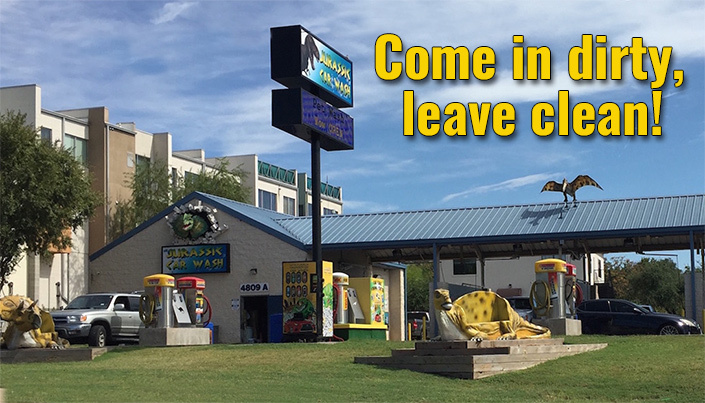 You will enjoy a premium clean car wash while sitting in the presence of animatronic dinosaurs! Value cards available for additional car wash discounts. Visit us in South Austin today. Visit us and get washed! Now open!